It is that time of the year when my mom and I would walk down to the 8th cross market frequently just to enjoy the colorful sights, and also to buy a lot of stuff we really could do without! I really miss my mom during these times – she’d insist that we quickly finish cooking dinner by 4 or 4.30 pm and set off, so that we could return before it got dark. 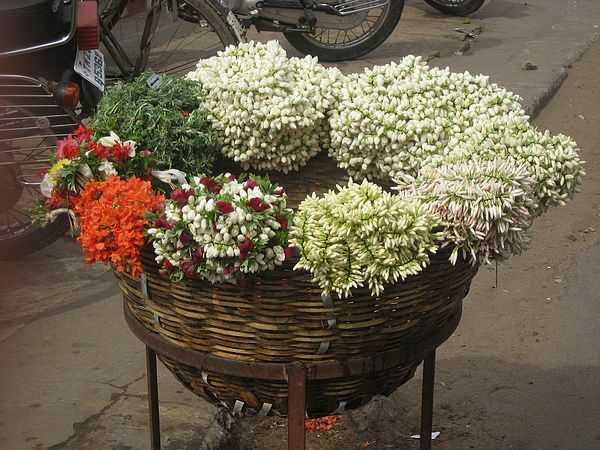 During festival time, 8th cross is a treat to the eyes. The street is cordoned off for traffic, so there are only pedestrian shoppers squashing each other – and it is more or less like a village market, with plenty of new vendors all displaying their wares. Just about anything you might want, you can get. It is quite some time since I went to the 8th cross. Maybe one of these days – Today – avani avittam would be such a major event at home, along with Raksha bandhan. But our main festival season is kicked off by Ganesh Chaturti, which is just around the corner. I feel weird about festivals without my mom – because this will be the first time. Sigh.